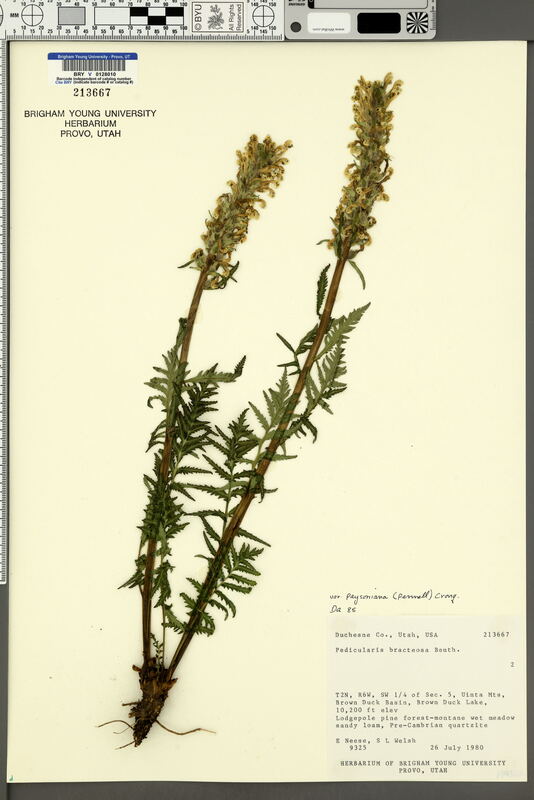 Locality: U.S.A., Utah, Duchesne, Uinta Mts, Brown Duck Basin, Brown Duck Lake. Verbatim Coordinates: 40.59395 N 110.59413 W ± 569 m /// T2N R6W S5 SW1/4. Habitat: Sandy loam, Pre-Cambrian quartzite. Lodgepole pine forest-montane wet meadow.